Cartoons are such effective communicators – so are cartoon strips and caricatures! Cartoons are one of the most effective means of communication we have. Does this sound far-fetched? It isn’t. Here we will look at just why cartoons are so effective at communicating with human beings, and why we are hard-wired to take their messages on board ahead of other forms of communication. 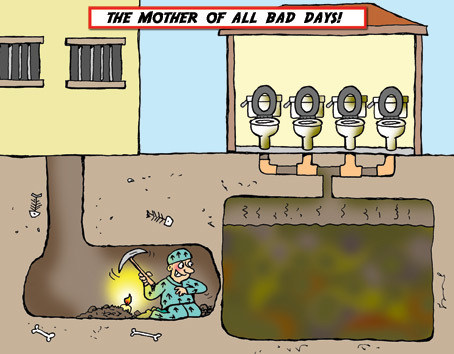 Cartoons can convey a message far more quickly than a written notice, for example. For one thing, you don’t need to be able to read to understand a cartoon. This makes it an ideal medium to reach a really wide public. Often public service communications will contain cartoons to illustrate their message, or to underline the written content of the message, just to ensure that those who are either illiterate or non-native speaking will grasp the meaning. Government certainly understands the importance of cartoons, and it can be the ideal way to make sure health and safety messages are heeded. A cartoon will often be picked up on before the written content of a sign, too. The message is conveyed in seconds and without the need for a lengthy explanation. Conversely, if you have a message you need to convey with words, cartoons help to emphasise your message. They are increasingly being used in school text books for this very reason. We grow up with cartoons and become used to the way they function from an early age. This means that the cartoonist, or a manager using a cartoon to deliver a message, has a pre-primed audience. Cartoons can be used powerfully in advertising across many industries too. If you run a last minute cruises company, for example, there is no question that using a cartoon of a ship with people jumping on as it prepares to sail will instantly communicate to your customers what area of business you’re in, and can be a great deal more effective than a slab of text. The recognition is instant. There is no issue of whether the audience will ‘grasp the concept’ with a skillful cartoon. The concept is in the picture, and can be almost instantly comprehended, unlike some presentations or adverts, which can leave the audience scratching their heads. Cartoons also have our childhood associations with humour, happiness and fun, and can serve to relax an audience in a potentially dull or tense meeting. They act as icebreakers, uniting your audience with humour and the pleasure of shared communication. This is particularly good when working with an audience of people who don’t know each other. 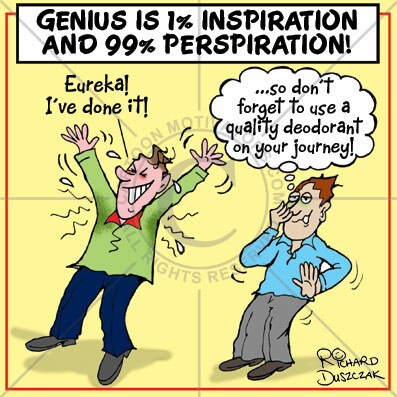 Using cartoons as motivational tools or in presentations will encourage the audience to warm to you as a speaker too. There is an instant sense of relief and gratitude for a light moment in any meeting, and this momentary shift in attitude towards the message bearer can be used in your favour. Sometimes the ‘feel-good factor’ of cartoons used in presentations can help you in a different way. If you have a difficult or sensitive message to convey it is often best to use humour as a way of diffusing the tension the audience can feel. For example, if you are dealing with the issue of motivating difficult employees you might use cartoons which gently mock certain stereotypes of negative employee behaviour. This has the effect of highlighting the behaviour, in a way that either the employees or managers will recognise – and possibly identify with – and will aid a smooth introduction to the serious issues being raised. The skill of the effective cartoonist is not simply the ability to draw well. It is the ability to distill an idea, or a joke, into an few short words and images. It’s this communication short-cutting that makes the cartoon carry the message so effectively. Often cartoons will use the power of observational comedy, which again allows the audience to identify with the message. Sometimes a cartoon will be part of a series, which can help you illustrate the narrative of a talk or lecture. This sort of approach when it is well done, will have your audience actually looking forward to the next stage of the talk, as they wait to see the next image in the story. Human beings are so hardwired for linear narrative story-telling that this can often be the most memorable form of presentation you can make. 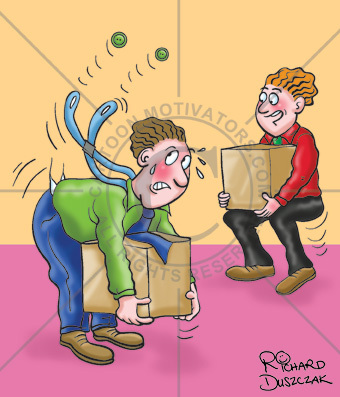 Cartoons Are Such Effective Communicators, in this instance a health and safety cartoon illustrates a guy not lifting correctly, and another one showing you how to lift from the knees! You might ask your cartoonist to invent the Perfect Manager vs the Hopeless Manager. I am sure just reading that sentence you will have an image appear in your head! What better way to convey management training, especially if there is a wry twist at the end? I’m sure you could invent a storyline, and the audience will enjoy the underdog coming out on top having learnt some valuable lessons along the way. The images, and your messages, will stay with them much longer than they might otherwise, simply because you have tapped into the human desire to listen to narratives and to laugh. Cartoons Are Such Effective Communicators – don’t you think!? Do you always read the cartoons first on a page? Please let me know your thoughts? Richard Duszczak 33-years as a cartoonist, caricaturist and illustrator! Cartoon Studio Limited 29 Lake View Avenue, Walton, Chesterfield, Derbyshire, UK S40 3DR Tel: +44(0)1246 209034 Mob: +44(0)795 192 9836 mailto:rd@cartoonmotivators.com "Working to make you and your clients smile!"